Today is my little brother's one year mark on his mission. 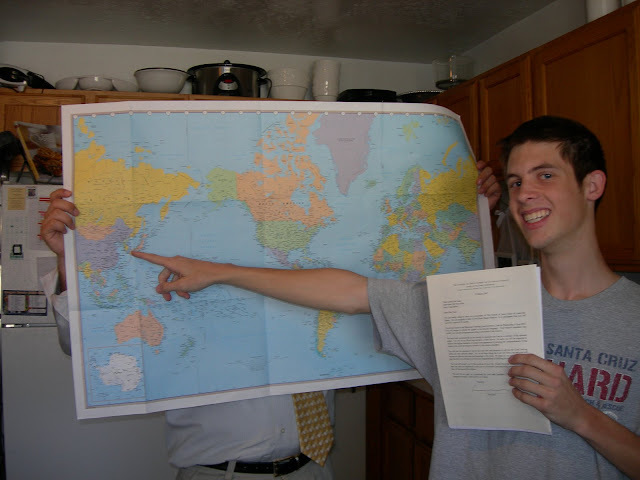 He is serving in the South Korea Busan mission. 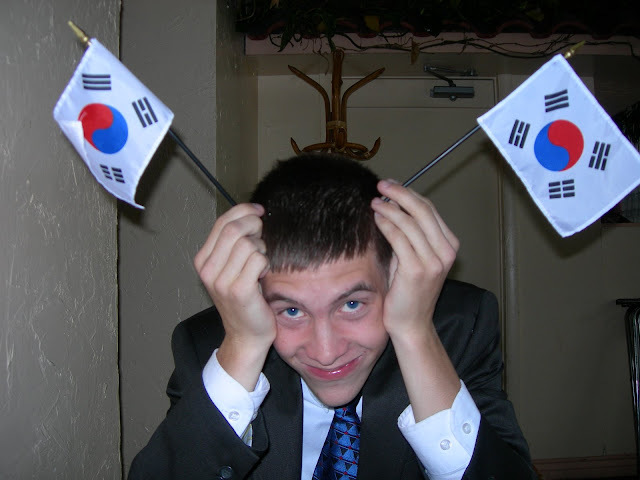 He is becoming fluent in Korean and is teaching the gospel and English classes to the wonderful people of South Korea. We miss him but are so proud of him and his decision to go on a mission for two years. Happy one year mark, Elder Nawshie (as the Koreans pronounce it). One more year to go! 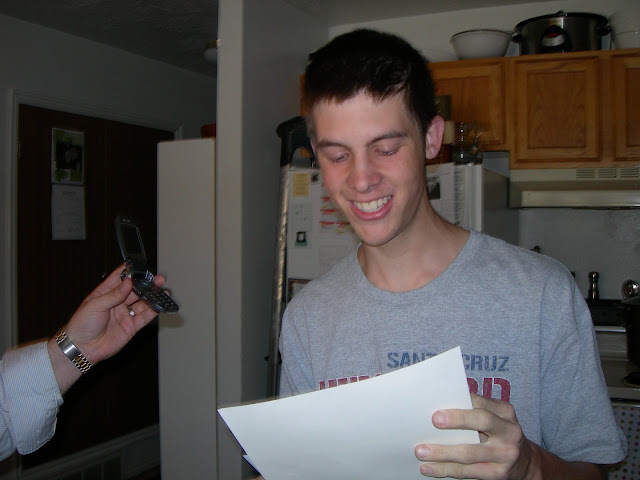 Jorden opened his mission call at our apartment. Where in the world is Busan, South Korea? 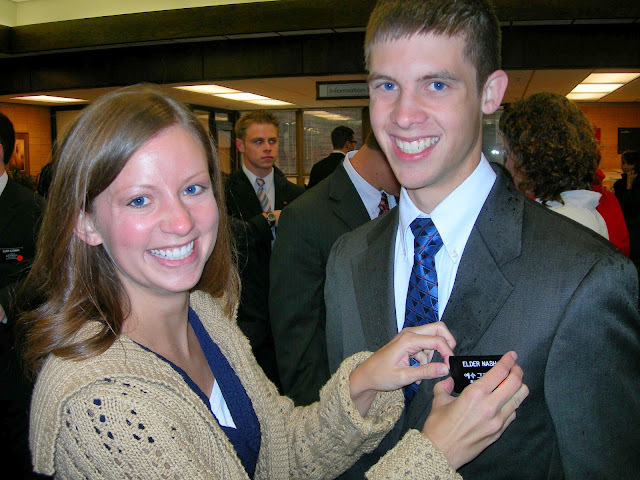 I got to put Jorden's name tag on in the MTC because our parents were in Michigan. Recent baptism of Su-Min Jung. Awww, I love that kid! Well, I guess he's not a kid anymore! He's such a cutie. 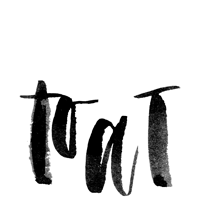 I love the picture of the two of you in the MTC. It's the first time I've thought you guys look a ton alike. I can't believe it's been a year already! I'm so proud of him! Congrats to Jordan! I can't believe he has already been gone for one year. My Dad and Uncle served in Korea. Its wonderful how much the missionaries really grow to love those people. He has probably had so much fun and will continue to have a great mission! What a cute little missionary! (Lindsey, even though he's your "little" brother, he is about 7 inches taller than you). 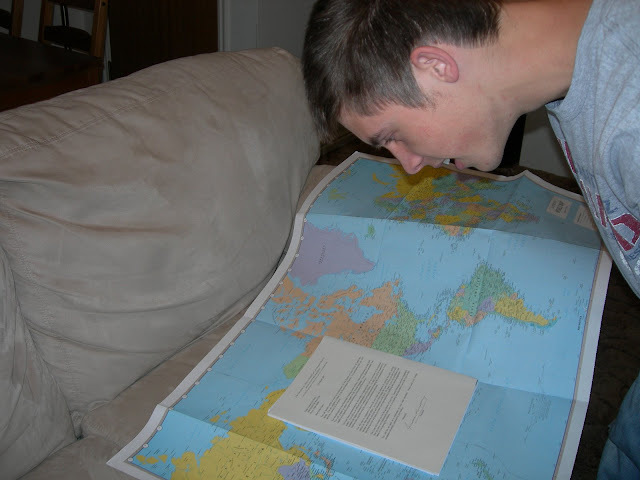 Although we are so happy he is serving a mission, we miss him tons. How fun it will be when he comes home and can play legos with his darling little nephew!